Welcome to all to come along. 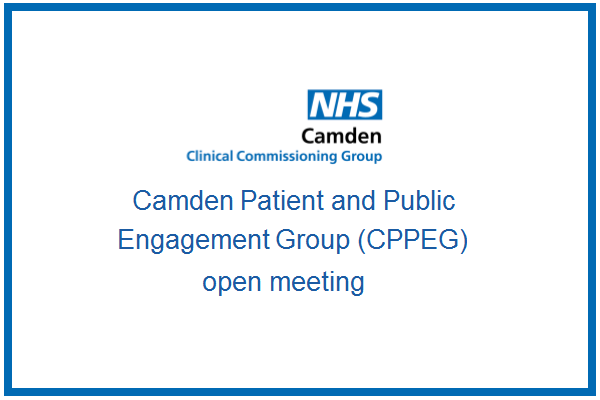 NHS Camden's Patient and Public Engagement Group open meeting is welcome to all to come along and listen to the different presentations throughout the day. 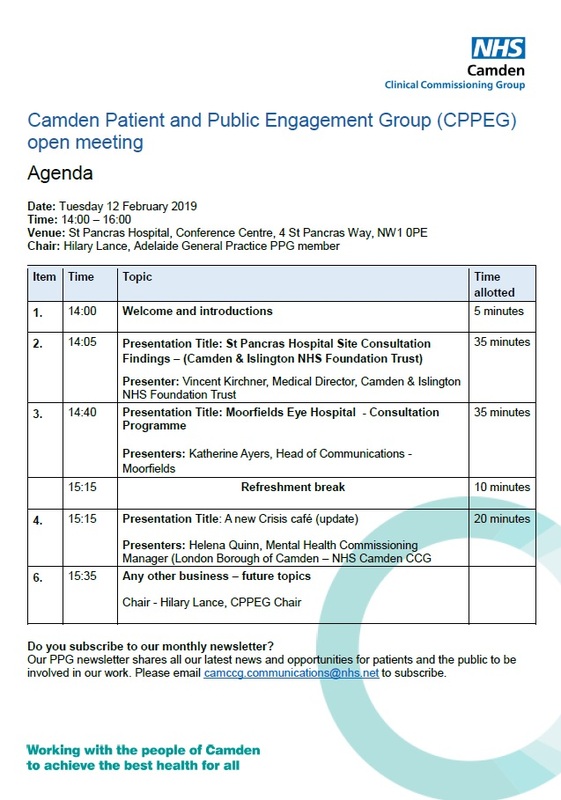 This will be taking place on Tuesday 12th February from 2pm - 4pm at St Pancras Hospital. Please click here to see the full Agenda.